Published in the year 1981, Midnight’s Children is a novel that focuses on the life of its protagonist, Saleem Sinai, who along with a thousand others, was born at midnight on August 15th, 1947, when India gained independence. In Midnight’s Children, Saleem, the protagonist, has been endowed with telepathic powers as a result of the unusual time that he was born, and these powers allow him to connect with one thousand other such children who were born at that hour. Besides Saleem, the readers are introduced to other characters as well, two of them being Shiva and Parvati, who are also endowed with mysterious powers as a result of being born at that particular time in India’s history. Saleem assembles all of these characters telepathically, and they attempt to understand the relevance of their gift. The story is based on actual historical facts as well as fiction, and provides the readers with a great deal of insight into the lives of people who lived during the Partition of India. Midnight’s Children highlights the plight of the people and the problems faced by the leaders as well. The book won the Booker Prize in 1981, the Best of Booker twice, and the James Tait Prize. 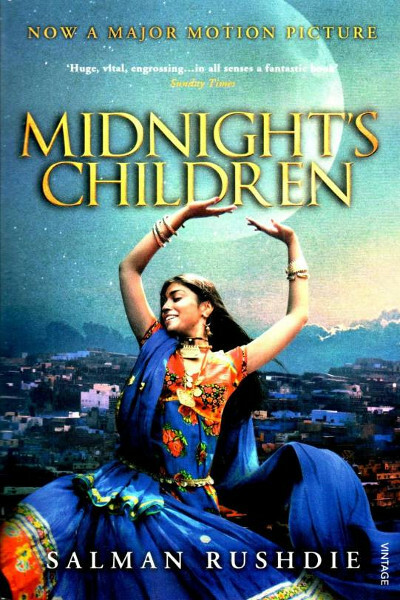 This book has also been adapted into a movie titled Midnight’s Children, and was directed by Deepa Mehta. This movie premiered at the Vancouver International Film Festival and the Toronto International Film Festival in 2012. Salman Rushdie is a renowned novelist and essayist of British Indian descent. Apart from this book, Rushdie has also written The Ground Beneath Her Feet, Luka And The Fire Of Life, Haroun And The Sea Of Stories, and The Enchantress Of Florence. Rushdie was born on the 19th of June, 1947, in Bombay, British India. He completed his schooling from Cathedral and John Connon School, Mumbai, and later went on to pursue his degree in History from King’s College, University of Cambridge. Rushdie has been awarded several times for his immense contribution to the field of Literature. Some of his notable awards include the Booker Prize For Fiction, Author Of The Year, and Arts Council Writer’s Award. He was Knighted in 2007 for his contribution to Literature, and was also awarded the Commandeur de l’Ordre des Arts et des Lettres in 1999. He has been married four times, and currently resides in New York City.